LeFort six and seven drawer tall chests provide excellent storage while projecting a powerful presence. Bold ogee feet support the graduated case of drawers which are capped with a well proportioned crown moulding. 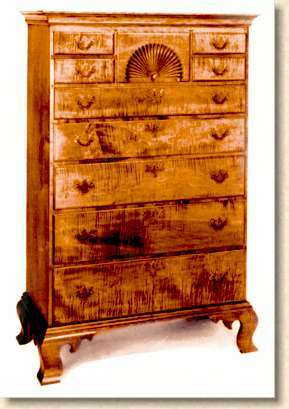 The fan carved bonnet drawer on the seven drawer model is flanked by two short drawers on each side.